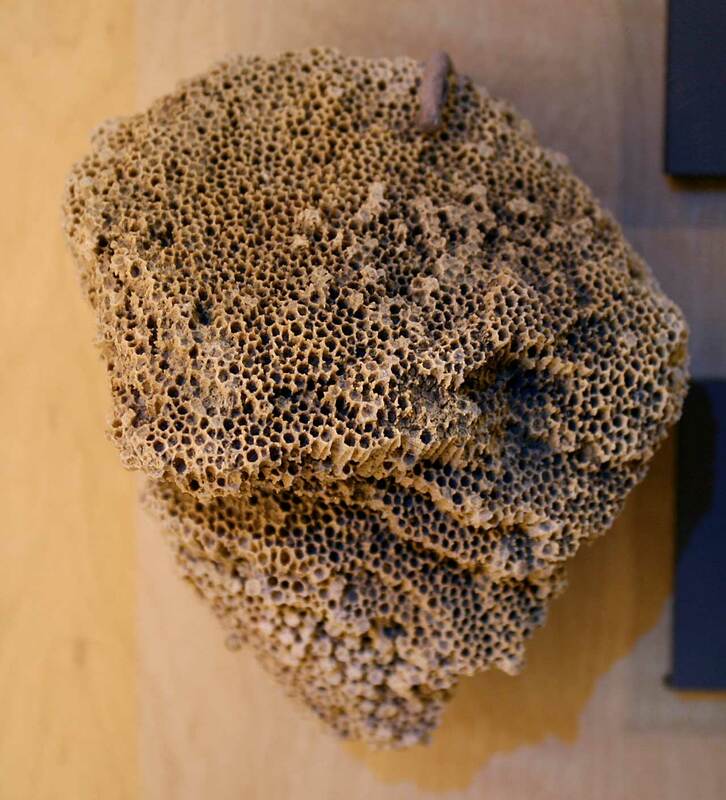 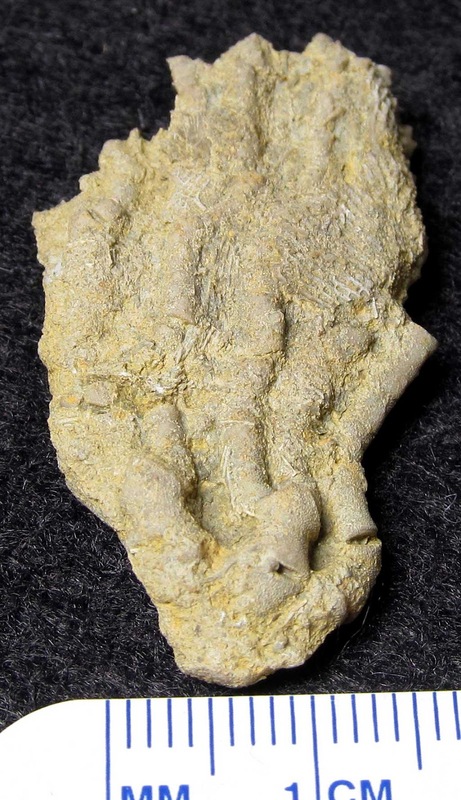 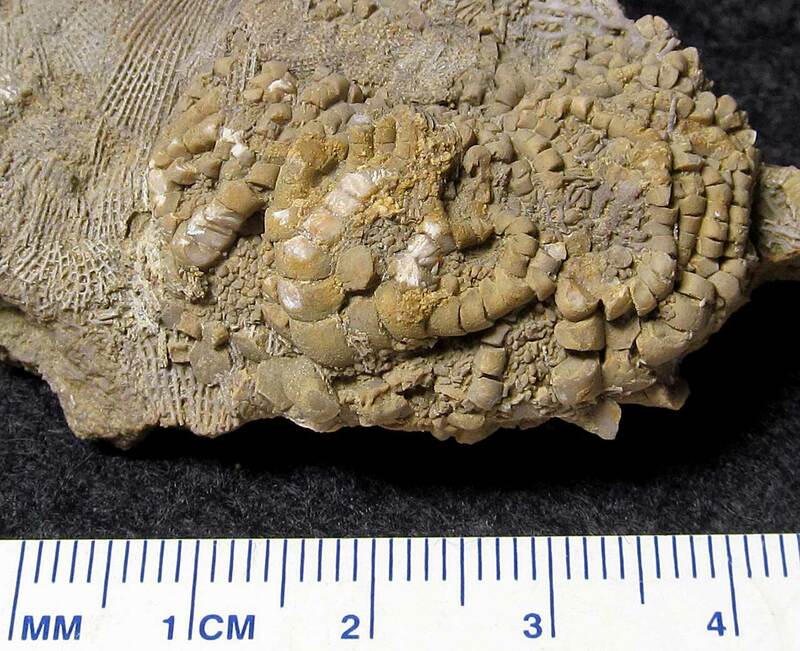 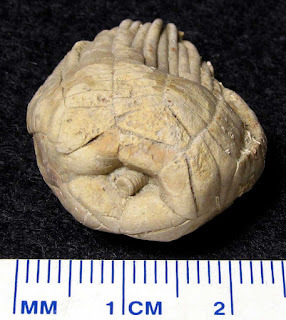 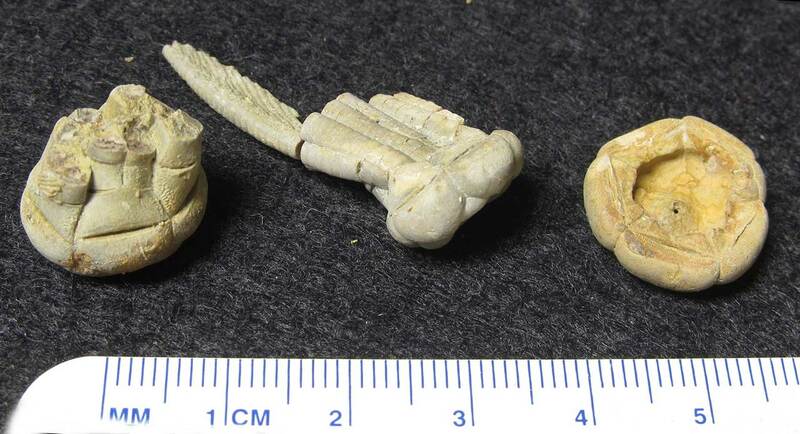 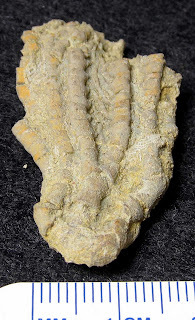 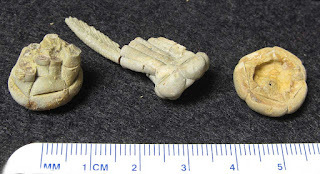 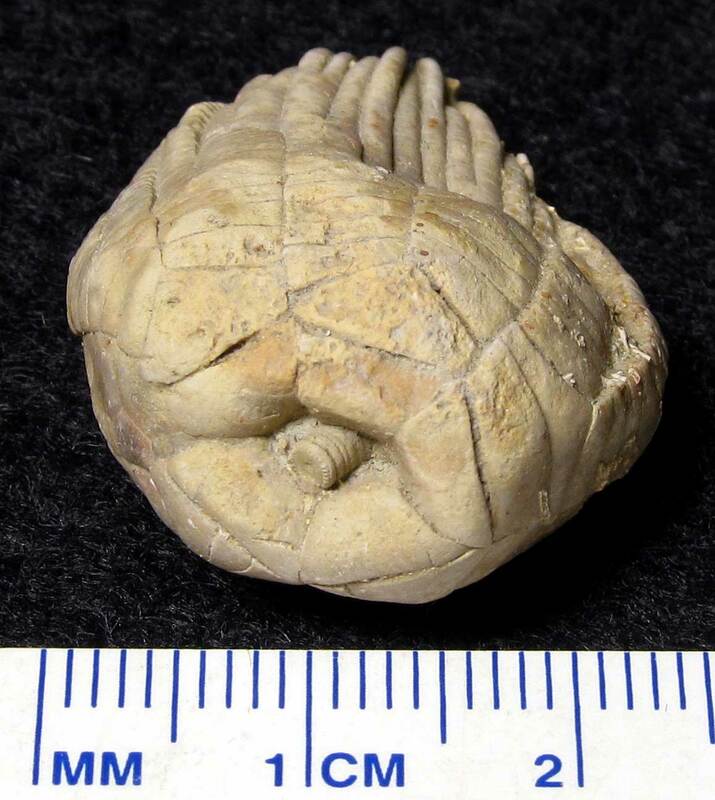 This image is of what appears to be a disarticulated Taxocrinus whitfieldi crinoid calyx. 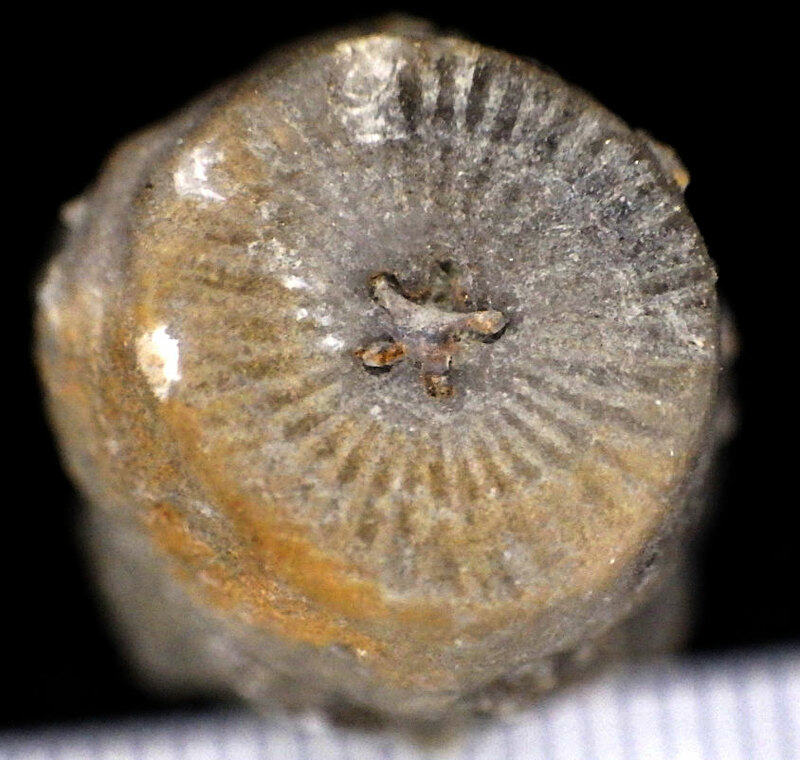 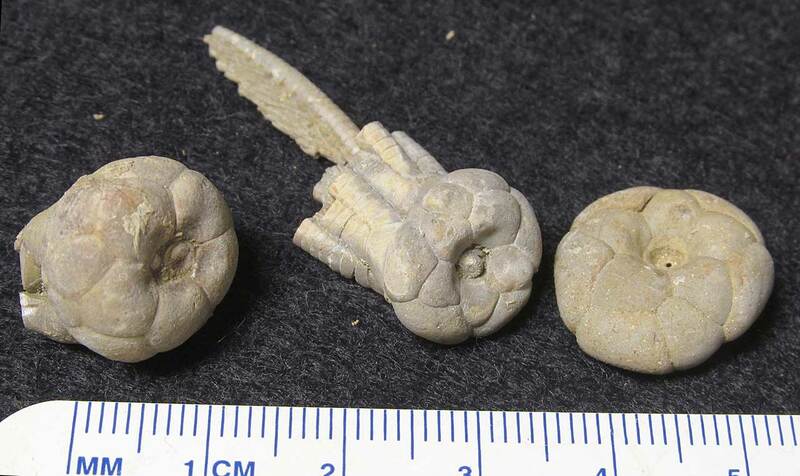 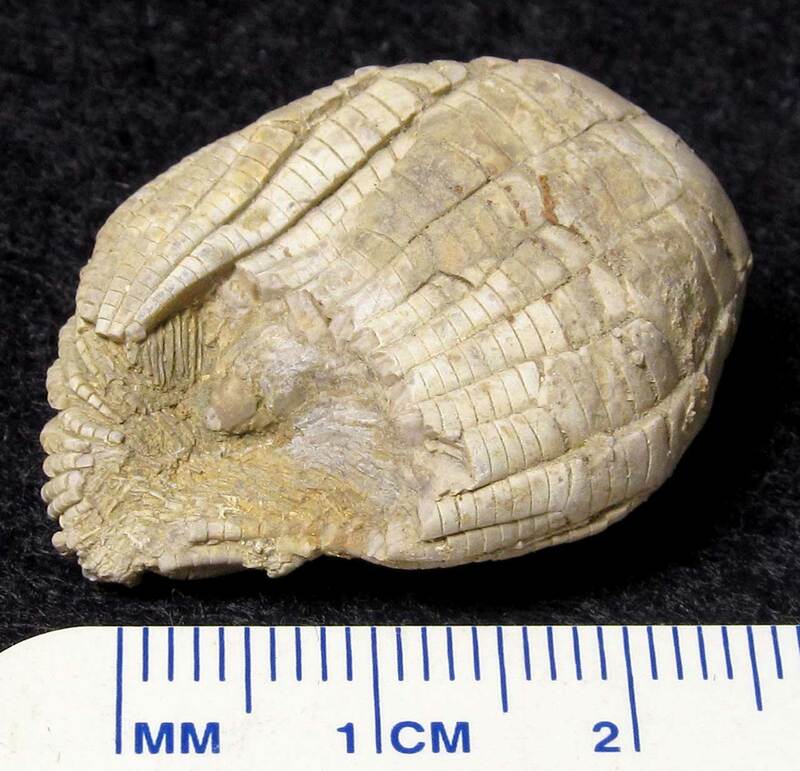 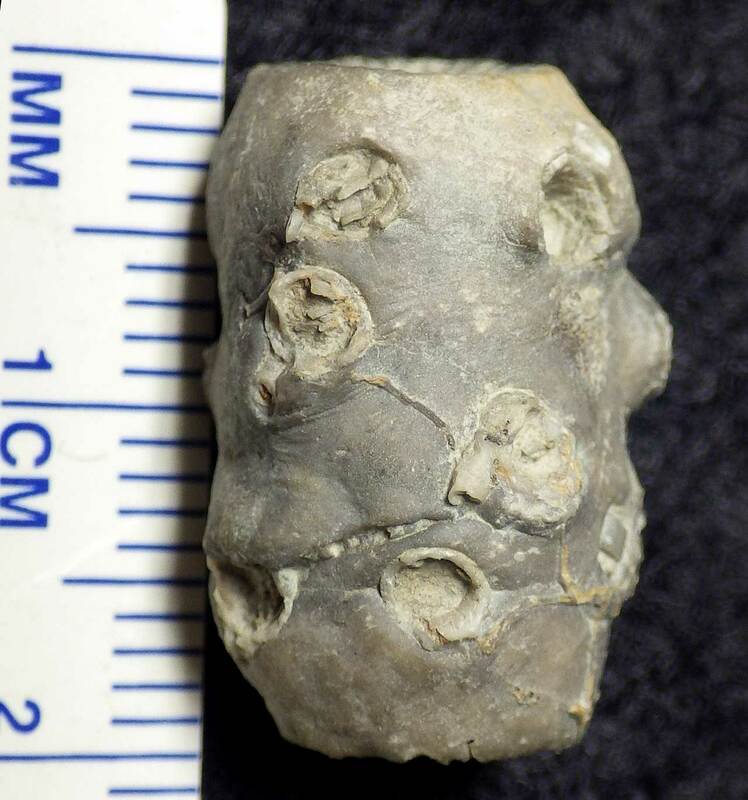 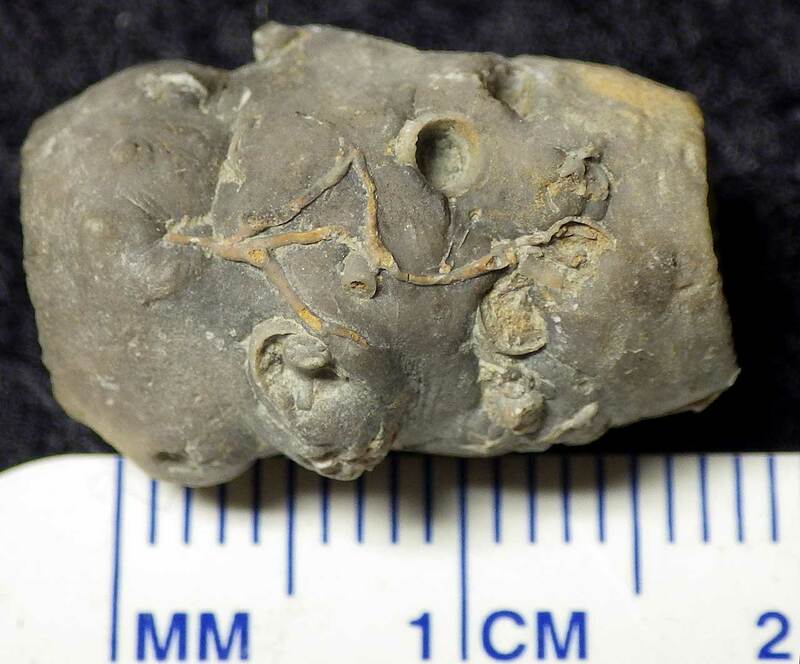 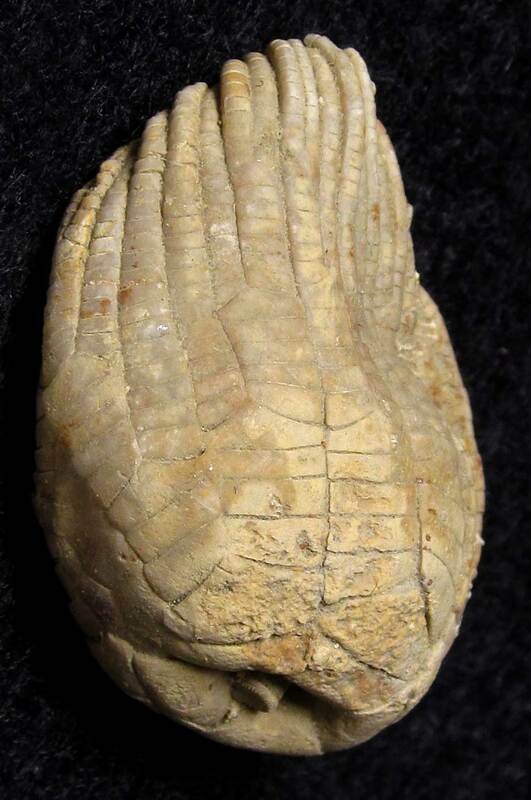 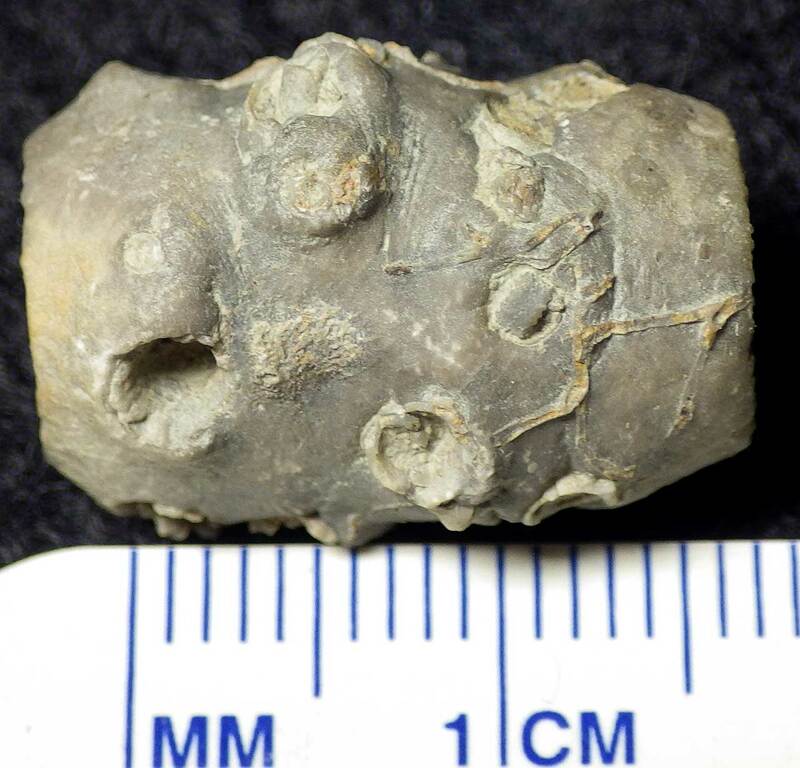 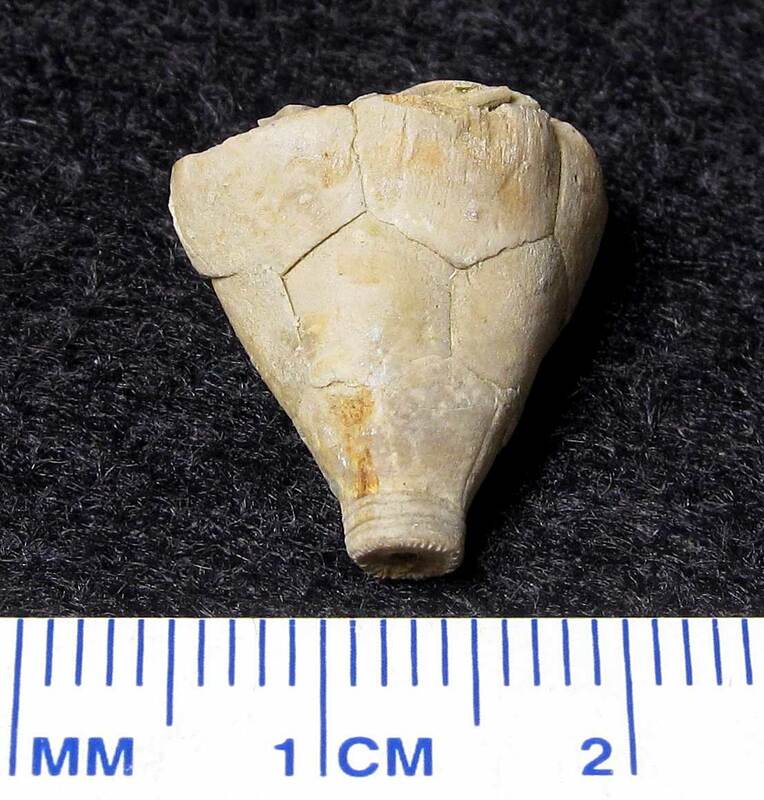 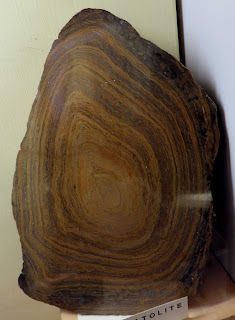 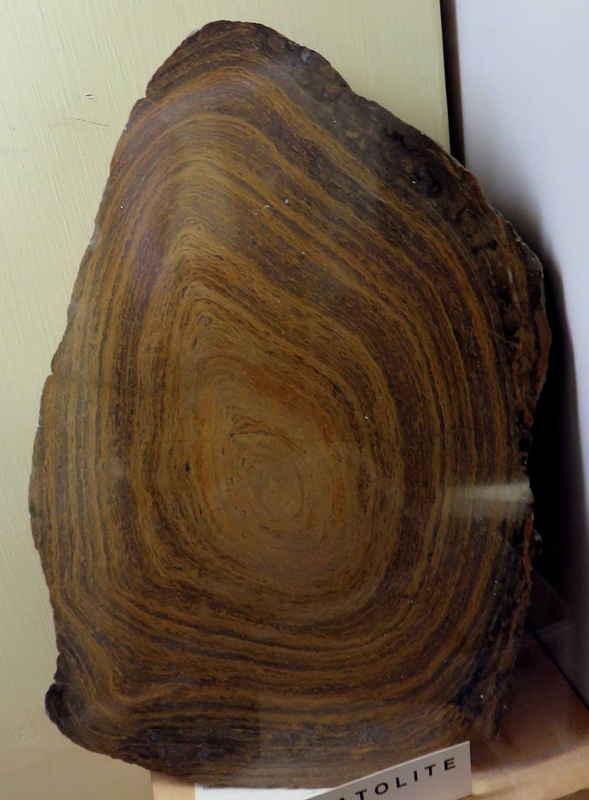 It was found in the Glen Dean Formation of Grayson County, Kentucky USA. 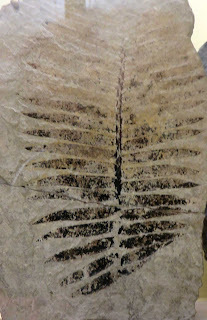 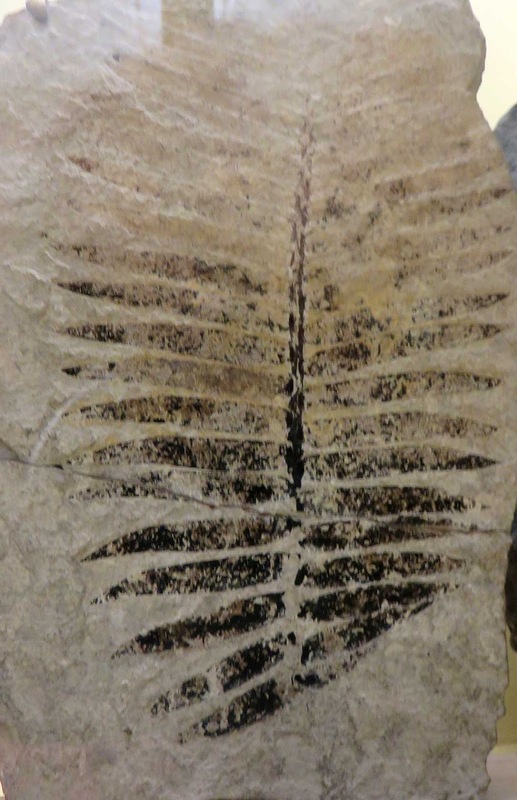 The fossil dates to the Mississippian Period.